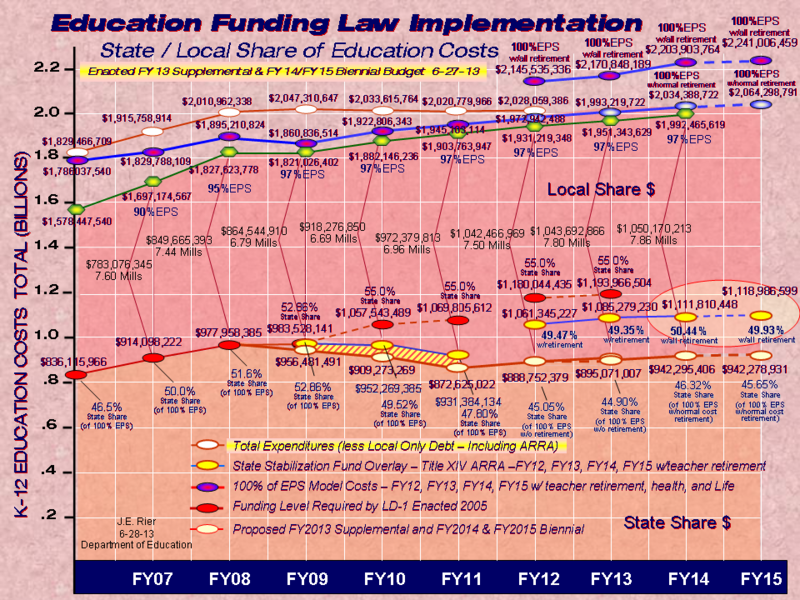 The State Planning Office is once again using its annual report on the legislation known as LD1 to portray school districts as overspending if they are exceeding costs outlined in the Essential Programs and Services funding formula even though it was never designed to cover all the programs needed for a comprehensive education. 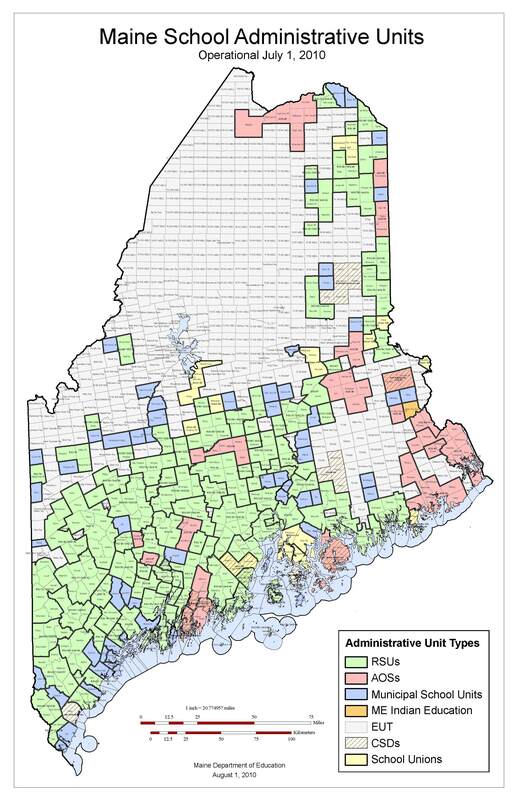 In its latest report, the SPO says 87 percent of school districts are over EPS. That is the same percent as last year, although the amount over has dropped statewide by $24 million. The report comes out at a time when state aid to education is dropping dramatically due to the recession and there is a growing concern that more and more districts will be under-funding their programs. Jim Rier, planning director for the Department of Education, told the Education Committee on Jan. 29 that he believes as much attention should be paid to those under-committing to education as those over-spending the EPS limit. “I think there should be more attention drawn to under-committing on EPS,” Rier said, particularly if state aid for schools continues to drop beyond this biennium. EPS was designed to assure that districts were spending enough to offer all students a core set of programs. It breaks down a basic education into components parts and assigns per-student dollar values and student-teachers ratios. It does not cover things like advanced placement courses, school sports, most extracurricular activities or even the lunch program. It also favors larger schools, some administrators say, because small schools cannot meet the student-to-teacher ratios defined in the formula, particularly for specialty classes like foreign languages and the arts. They also cannot achieve the economies of scale needed to operate and maintain their buildings on what the formula allocates. When voters statewide demanded the state pay for 55 percent of K-12 education, the Legislature turned EPS into a spending cap under the legislation that came to be known as LD1. While LD1 sets caps for state, local and county government as well as schools, only school districts were given a cap that most already were exceeding when the law was adopted in 2005. By contrast, the caps on state, county and municipal spending started with what was being spent in fiscal year 2005, with room to grow every year. To make matter worse, the cost of education, as defined by EPS, was reduced by the Legislature in 2009 to help balance the budget. Predictably more districts were found to be “over EPS” when the cost of education was arbitrarily reduced by the state.